Journalists often have a habit of pre-writing an article in their heads and then going looking for quotes to support their premise. Asgar Qadri came to interview me for this piece and when he found I was saying exactly the opposite of what he wanted to hear, has wiped my views out of his article. His take is totally inaccurate. The irony is that the current BJP government, while supporting yoga, Ayurvedic medicine, and other traditional Indian knowledge systems, and even a non-meat diet, has not pushed wearing of Indian costume at all. One cannot include the prime minister's own outfits as all Indian prime ministers, of all political affiliations and parties, have always worn Indian clothes. In fact, Mr (Narendra) Modi is unusual in occasionally sporting western suits on his sorties abroad. Qadri says, "the Indian fashion industry has been pressed to aggressively promote traditional attire and bypass western styles. The effort aligns with the party's broader political program: to project multi-faith India, a country of more than 1.3 billion, as a Hindu nation." This is really rubbish. The traditional Indian clothes that Indians wear - the sari, salwar kameez, dhotis, lehenga ordni, the lungi and the mekala chador, sherwanis, achkans and Nehru jackets, have nothing to do with Hinduism. They, their many regional variations, and Indian stitched garments themselves, (including Mr Modi's own ubiquitous bandgala waistcoat and churidar-kurta), have evolved over the centuries as responses to climate, lifestyle, and influences from many other cultures and wearing styles across the globe. In any case, as I told Qadri, far from actively promoting traditional Indian costume in India, the present government's main efforts have been to attempt to push Indian handlooms internationally. It has been sending designers to Varanasi and other handloom centres to design western garments for the international market, scheduled to be launched at fashion shows and trade fairs in fashion capitals across the world. This, and the Handloom Mark and Handloom Day, are part of an attempt to support our declining handloom industry, not some dark reactionary agenda. In fact, many of us in the sector feel that not enough is being done, given the double blow demonetisation and GST has dealt to small weaver communities. All Indian governments since Independence have supported handloom weaving. This is not to propagate Hinduism, or even nationalism, but for the simple reason that it's one of the largest sectors of employment, after agriculture, now increasingly threatened by mill and powerloom production. Incidentally, handloom has nothing to do with Hinduism. A vast percentage of handloom weavers, including those in Modi's constituency Varanasi, are Muslims. 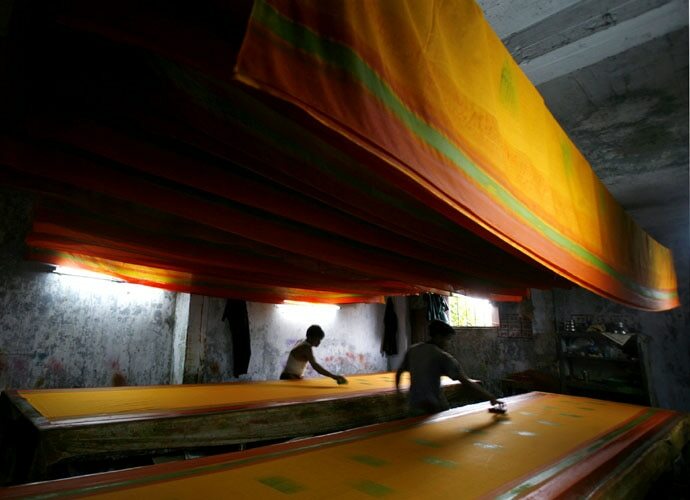 To conflate promotion of weaving or wearing handloom with a Hindu fundamentalist agenda is as absurd as saying that the fact that I, as a Muslim, have worn handloom sarees on a daily basis all my adult life, reveals some hidden Hindutva connection. Perhaps it is curious that a government which has reached back into India's cultural and spiritual past for much of its political rhetoric, has not really pushed national costumes. Possibly because it doesn't need to. Indians, while increasingly wearing western wear, will always go back to our own wonderful garments as well. Though I am delighted that freedom of choice is with us in this arena, it is doubly irritating that Mr Qadri has tried to fit a cap onto our costume which doesn't really fit.